Harpoon4 (4th edition) is a tactical naval miniatures game that covers all aspects of maritime combat from 1955 to the present day: surface, sub-surface, and air. Extensively researched and tested, the rules allow play so relistic the game has been used for training by the U.S. and other navies. Harpoon uses the same format and terms as the other Admirality Trilogy games. This allows players familiar with those games, and naval combat of earlier eras, to easily step into the modern era. Harpoon4 uses text and illustrations to explain the essentials of the wide range of sensors and almost intelligent weapons used in modern naval combat. Sidebars explain what's going on "under the hood" in some of the games mathematical models, as well as background information on the tactics and technology of the hardware. Although good admirals will know the capabilities of their own hardware, and the enemy's as well, the game emphasizes the decisions that the players must make as naval commanders, giving them the same type of information naval officers would have in the real world and giving them the same options. The game also uses a modular structure and real-world terms like knots and yards, so that players can relate what they experience in the game to the real-life systems. The game is also easily modified, to allow new equipment to be added. An annex in the back of the rules provides the formulas the player needs. Players can use Harpoon to game out now-historical Cold War scenarios, real-world naval crises, or explore the possibilities of advanced weapons systems. Harpoon is the flagship of the Admiralty Trilogy Group&apos;s games. First published in 1980, it has undergone several major revisions, with the last, Harpoon4.1, being printed in the late 1990s. Although the system has remained fairly stable, naval technology has continued advancing, and there have been further developments in our game systems as we have acquired more information and refined our products. We plan to issue an update to Harpoon (version 4.2) sometime in the near future consolidating our knowledge and standardizing Harpoon with the other products. In the meantime, we are regularly publishing our Naval Sitreps and our Harpoon Naval Reviews (see below) to keep our product up-to-date. We have also published updated information about the Cold War Forces (the High Tide Series) and the Royal Navy (White Ensign). The Persian Incursion product poses a "What If" situation about war in the Middle East. Incorporating changes made to the Admiralty Trilogy game system, updates incorporating modern technology, and new ship and system data, Harpoon4.2 will be a update to the Harpoon4 game. 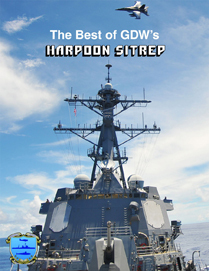 GDW&apos;s Harpoon SITREP was published quarterly between January 1989 to January 1994. Each issue provided a mix of scenarios, articles on naval warfare and technology, and statistics on weapons systems. All this was designed to support the very active Harpoon miniatures gaming community, and was supported by them. Most of the bylines in each issue were of players who wanted to share a new idea, or their expertise, about a part of the game. The issues are long out of print, but demand for back issues has been steady, and photocopies of the old issues are steady sellers. 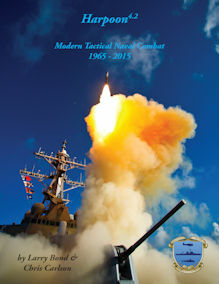 After four editions of Harpoon and twelve years, a lot of the articles are dated, but there is still a lot of good information - general pieces on naval warfare, book reviews, and scenarios. This book gathers together the best of those issues in one place. While a few of the articles have been updated, most are untouched. We&apos;ve limited changes to replacing or improving graphics, using current statistics, and removing any inconsistencies with current rules. These are peripheral issues and in no case was the content of the article changed. When formulating their strategies, the world&apos;s navies always plan to put their best forces in position to deal with any problem. However, reality rarely cooperates with these plans and naval forces often find themselves faced with situations for which they are not be prepared. 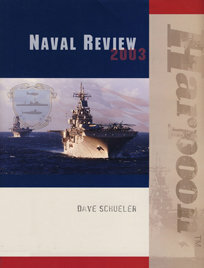 From hypothetical Cold War actions to current encounters and potential future conflicts, Harpoon Naval Review 2003 provides scenarios that let you explore how ad hoc naval groups deal with these situations. It also presents scenarios and articles covering naval items of interest from around the world; with ship and aircraft forms for the scenarios. 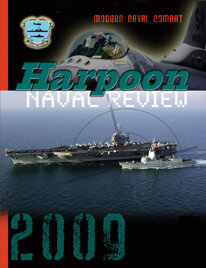 Harpoon Naval Review 2003 contains articles on Australia&apos;s Navy in the 21st Century, The Chinese Navy, A Tour of a Project 641 [Foxtrot] Class submarine, Optional Variable Damage Rules, Weapon Arcs vs. Director Arcs, and nine scenarios. Modern Naval technology is evolving at a rapid pace and the potential for conflict on the world&apos;s seas is as high as ever, creating scenarios, both real and hypothetical, that can be played out with the Harpoon game system. Harpoon Naval Review 2009 comes with 49 ship and 52 aircraft forms, all updated with the latest standardized Admiralty Trilogy information, scenarios, after-action reports, and more. Based on what we have learned since the collapse of the Soviet Union, High Tide compares, for the first time, the strengths and weaknesses of the Cold-War adversaries at the height of their power. The 128-page scenario book provides thirty naval battles, covering all types of naval operations: antisubmarine warfare, convoy operations, mining missions, amphibious landings, air strikes on land and naval targets, and special operations missions. Sidebars describe the naval technology of the time, as well as important events and key leaders. Over half the scenarios are part of a linked campaign, based on a story line written by Larry Bond and Chris Carlson. Detailed appendices give a complete disposition of the Soviet fleet in 1988, a chart of Soviet naval strength through the entire 1980s, and the organization and order of battle of Soviet Naval Aviation in 1988. A final special appendix is a minigame that allows players to game out air attacks on the Kola peninsula. 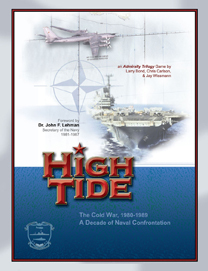 High Tide&apos;s foreword was written by Dr. John F. Lehman, Secretary of the Navy from 1981 to 1987. Dr. Lehman was directly responsible for the condition and performance of the U.S. Navy, and its amazing buildup during that decade. 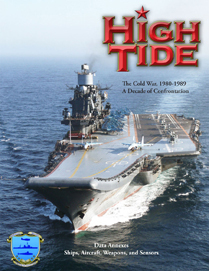 Based on what we have learned since the collapse of the Soviet Union, High Tide compares, for the first time, the strengths and weaknesses of the Cold-War adversaries at the height of their power. High Tide&apos;s data annex is a comprehensive listing of platforms, weapons and sensors for naval, air, and some land units. Each ship class entry has a full listing of its sensors, offensive and defensive weaponry, as well as dates and details of modifications. Aircraft entries list their performance, sensors, and possible ordnance loadouts. Separate annexes are included for torpedoes, naval guns, naval and land-based missile systems, antisubmarine weapons, anti-missile weapons, radar, sonar, aircraft weapons, and more, including nuclear weapons, all organized by nation. All the data is based on real-world information, and is the most accurate unclassified source in existence. There was a time when the sun never set on the British Empire. The sinews that tied the empire together were the ships of the Royal Navy, and later, those of the Commonwealth nations. Today, just like it was in the past, whenever those ships sail, one can see the White Ensign. White Ensign discusses each conflict in which Commonwealth naval forces were involved from 1960 to the present day. 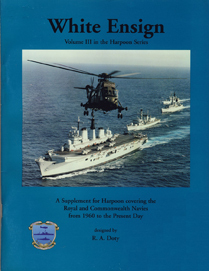 Perhaps the most comprehensive study of the modern Royal Navy outside of official publications, and a valuable reference book in its own right, White Ensign is meant to be used as a supplement to Harpoon4. The scenarios require the use of Harpoon4 rules to play. All ships, from carriers down to patrol/fast attack craft, as well as ships taken up from trade (STUFT) during the Falklands War are included in the ship data annex, as are all aircraft that were or could have been used in a naval environment. Also included is an extensive bibliography, which includes official sources and Internet sites. 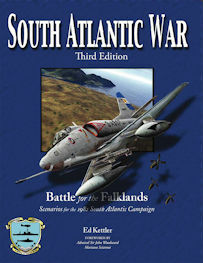 South Atlantic War, Second Edition contains an in-depth treatment of all aspects of the 1982 campaign in the Falkland Islands. Its 26 scenarios can be played separately of as a connected campaign. The scenarios include information from recently released sources, complete orders of battle for both combatants. The first edition has been used at the Naval War College and Quantico for officer training. It also includes the first edition of the Admiralty Trilogy ground combat system. South Atlantic War II includes a forward by the late Admiral Sir John "Sandy" Woodward. 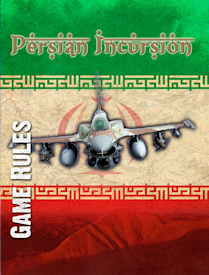 Persian Incursion explores the political and military effects of an Israeli air campaign against Iran to prevent them from building a nuclear weapon. It uses rules adapted from Harpoon to resolve the military action. But its goal is to look beyond the military action by modeling the political and intelligence actions and consequences of a potential political conflict by including a card-based political component to the game. The game allows one player to take the role of the Israeli leadership and armed forces, while the other becomes the Iranian leadership and its armed forces. The Israelis will attempt to use air strikes, commando attacks, and political tactics to force the Iranians to abandon their nuclear weapons development program. The Iranian air defenses are badly overmatched, and they must depend on other asymmetric means to counter the Israelis: Ballistic missiles, terror attacks, and political persuasion.